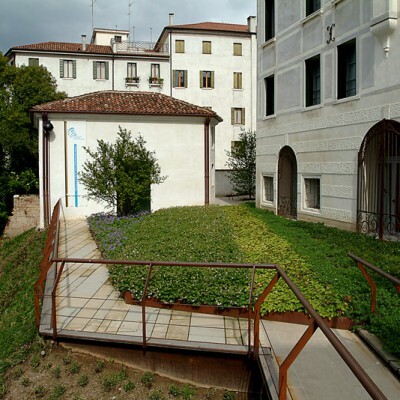 The Foundation’s headquarters is in the centre of Treviso, between via Cornarotta and the waterway known as “La Roggia”. 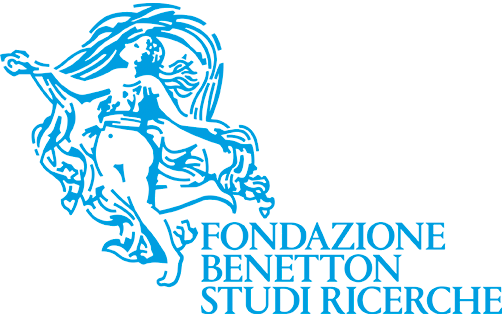 It comprises two buildings – Palazzo Bomben-Mandruzzato and Palazzo Caotorta – with their respective outbuildings and open spaces, an ideal space for the present scientific work of the Fondazione Benetton Studi Ricerche (and its developments) and the public activities in spazi Bomben. 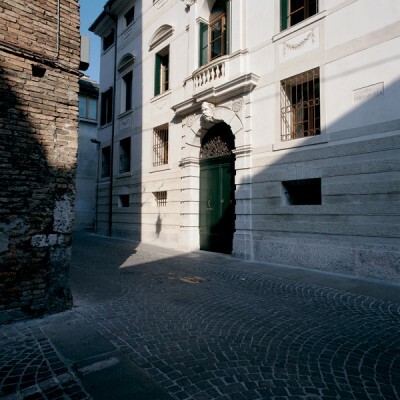 The foundations of both palazzi rest on the foundations of the original XIV-XV century buildings on the site. 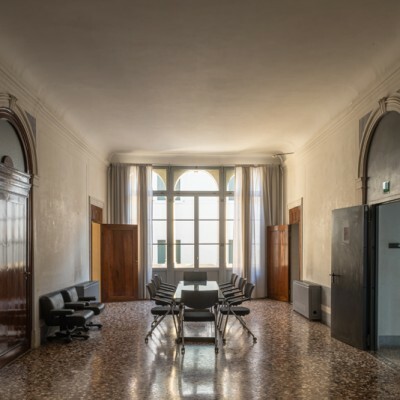 Parts of these are incorporated into the present buildings, which reflect the most recent of a continuous history of alterations, in 1936 in the case of Palazzo Bomben and the end of the XIX century in the case of Palazzo Caotorta. 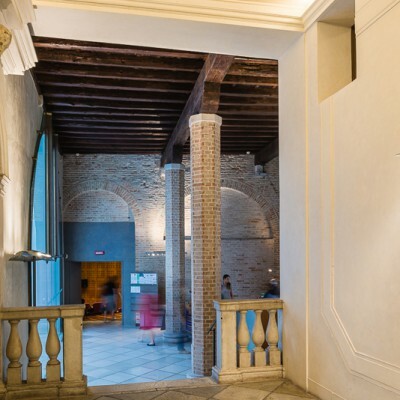 In 1944 the back of Palazzo Bomben (the part towards the river) was bombed and the roof, floors and part of the walls collapsed. The premises comprise over 10,000 cubic metres, with usable internal space of about 3,200 square metres and an outdoor area of about 900 square metres. 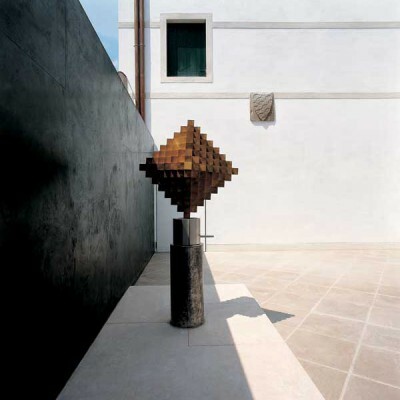 This goes to the edge of the Roggia and has been laid out as a courtyard and garden. 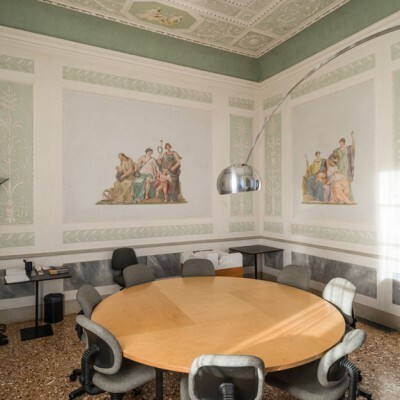 Palazzo Caotorta houses the Foundation’s scientific and publishing activities and the documentation centre (including the library, the archive, the collection of maps and the picture library). 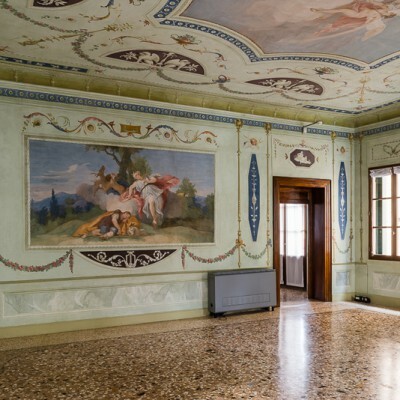 Completed the restoration work, Palazzo Bomben is a centre for cultural activities open to the city. There is a 150-seat auditorium for conferences, seminars, cultural events and concerts.